One of the all-around most useful pieces of footwear you can probably ever get is a good pair of hiking boots. They are highly durable, weather-resistant, and can be used in most day to day conditions as well. They come in many shapes, sizes, weights, and styles too so even the more style conscious among us can probably find a pair that suits their taste. 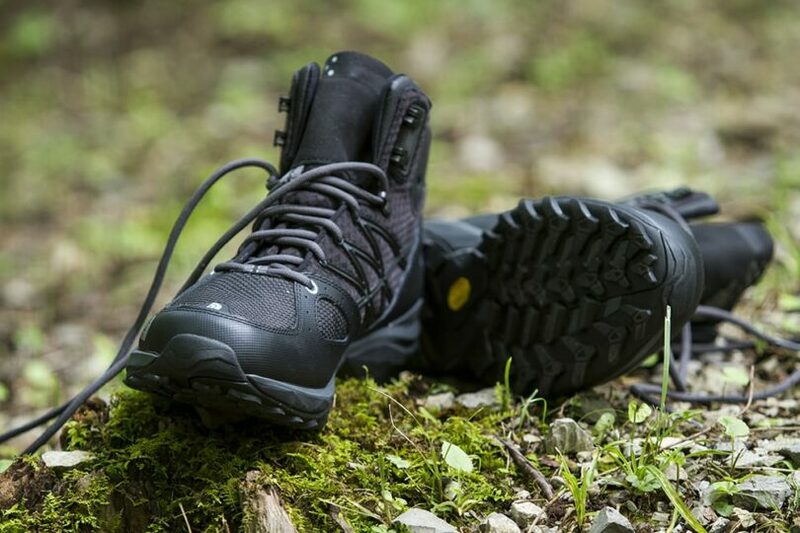 But before you go out to get yourself a pair, or if you’re still thinking about buying yourself new boots, you will definitely want to know how to break in hiking boots. Break in you say? Isn’t that a bit exaggerated? Well, to be frank, hiking boots, just like a new vehicle’s performance over its lifetime will greatly be affected by how it’s broken in. If you do away with the break in process, you’re allowing potential problems with your shoes to come up if you take it on a long hike. Not breaking shoes in will expose you to a greater risk of discomfort and even damage to your shoes. At worst, they may not function as well as they ought to, and that could lead to injury. Your feet, and by extension, your boots are after all what keep you upright. The stability and well being of your feet and footwear will definitely matter if you’re in rugged terrain. So, just what is breaking in exactly? Breaking in a pair of shoes is the process of slowly having your feet and your boots get used to each other. Think of it as sort of a “getting to know you” period. Every person’s feet has numerous unique quirks and characteristics. Some things that may not have been fully accounted for when the shoes or boots were designed. This doesn’t mean that the boots aren’t well constructed or that your feet are just abnormal. The boots will eventually (more often than not) start to feel better around your feet as you begin to use them more. The process really tends to go both ways, your feet get used to the feel of moving around in the new pair of boots you just got. At the same time, the tough and stiff boots that you just purchased will have a chance to soften up and begin to adjust to the pair of feet that it will be protecting over its lifespan as well as the rigors it will have to endure when being used. For runners breaking in their sneakers is especially important. Hitting the road for over 5 miles in brand new shoes is a recipe for disaster. Some common adversities people encounter include, more blistering, unease while running. In more extreme instances, some runners who push themselves too far in brand new kicks wind up with issues regarding their muscles and tendons. This is because they were pushing their legs in working hard in unfamiliar territory. It’s sort of similar to the way people say that they have to break in a new car. The brand new car has barely seen any use (aside from standard quality testing). Why Break in Hiking Boots? 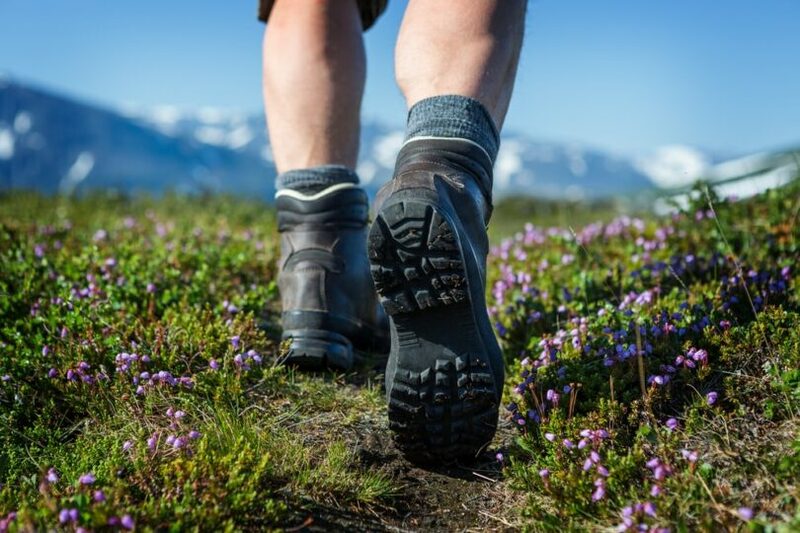 Hiking boots are footwear especially built to take on the challenges of granting your feet and ankles ample protection during numerous types of outdoor activities including hikes. In terms of your hiking gear, a good pair of hiking boots will rank in as one of the most important and useful. These pieces of footwear are built to provide a degree of measurable comfort, while at the same time providing you with protection against injury. 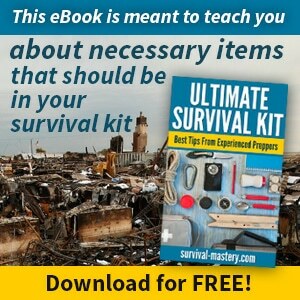 This makes it definitely invaluable in covering long distances over difficult terrain. Despite all of these characteristics and the effort manufacturers put in the providing wearers with reasonable amounts of comfort, the reality is that these boots are rigid and stiff. They have to be this way in order to provide the necessary protection your feet need. This rigidity and stiffness often lead to comfort concerns as these can be a cause for the development of blisters, sore feet, and ankles. 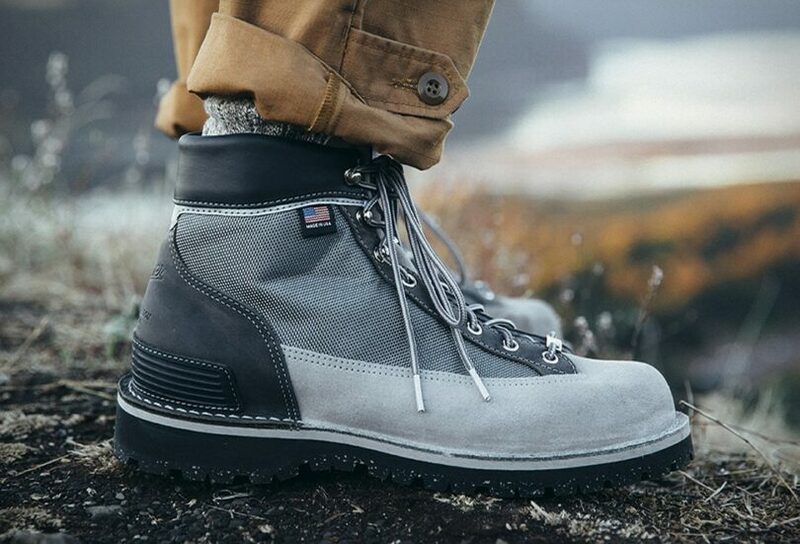 In order to further mitigate the need for a tough shell to protect your feet and the desire for comfort and ease of use, breaking in those boots is definitely a good idea. Have you ever developed blisters in the middle of or towards the end of a hike? It’s a pretty painful experience. The hike will sap more strength out of you than it should and your ability to fully enjoy your surroundings lessens a bit. Now, imagine getting those blisters sometime near the start of your hike. If you don’t break in your boots, you are exposing yourself to the possibility of having to deal with that, and a number of other annoyances such as sideward tongues and misaligned gussets as you deal with difficult terrain. Break in those boots before you use them. Technically speaking, this isn’t really part of breaking in your boots. However, in order to get the best possible fit and experience out of your boots, you’re going to have to do a bit before making the purchase. First, you will want to know the type of boots that is right for you. The primary consideration is what sort of outdoor activities you engage in, as well as the degree of difficulty of the terrain you intend to take on. There are three general types of hiking footwear. 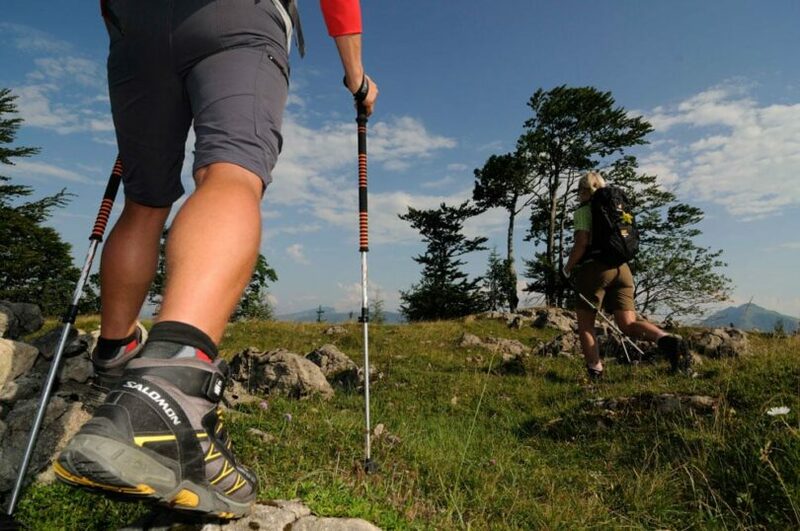 Hiking shoes –These shoes are low-cut and have flexible midsoles which allow it to provide high levels of comfort. They are excellent for day-hikes on comfortable trails. Shoes that fall into this category are usually comfortable enough for regular day to day use, even in urban environments. They won’t look too rugged either. 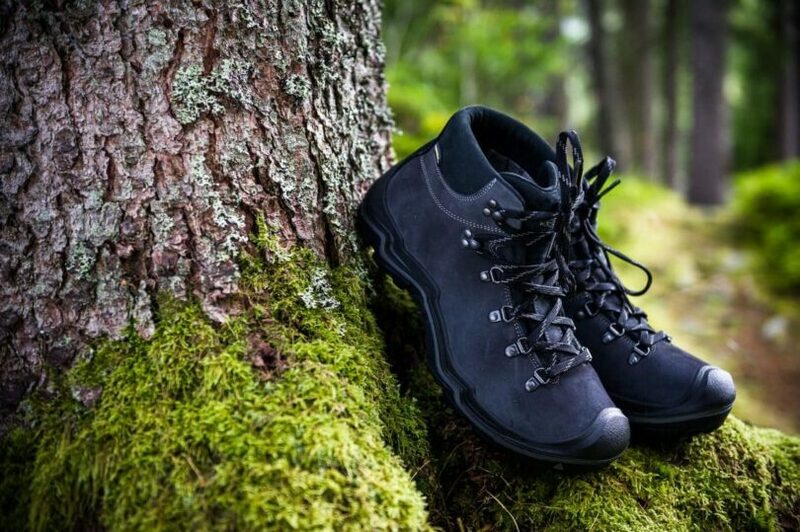 If you’re a light recreational hiker going on day hikes on established trails without any heavy gear on you, then these types of shoes will probably a good pick. These types of shoes will also require a little breaking in, as they are already quite supple and provide a relative level of protection. Though you might want to think twice about using these shoes while carrying heavy loads over extended periods on difficult terrain. The comfort they provide comes at the expense of protection. 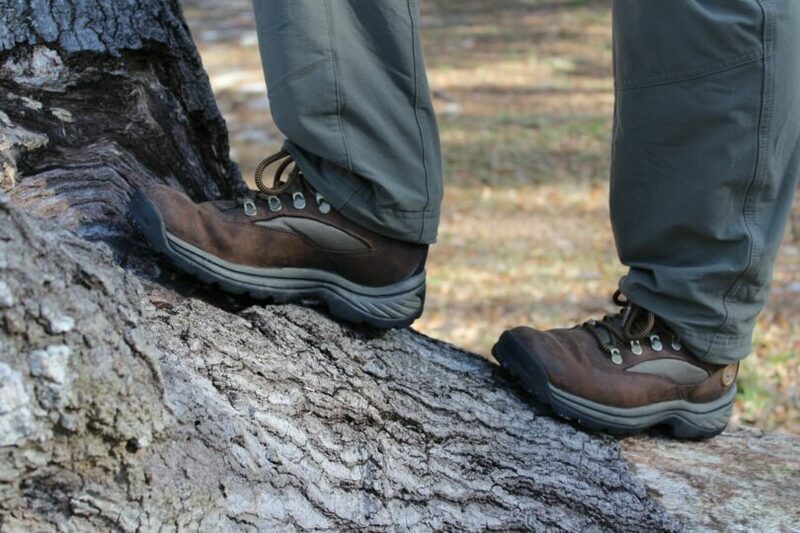 Day-Hiking Boots –These are your mid-level hiking footwear options. They come in mid to high cuts and are built with the day hiker or lightweight backpacker in mind. They are relatively flexible and will not require a long period of breaking in. 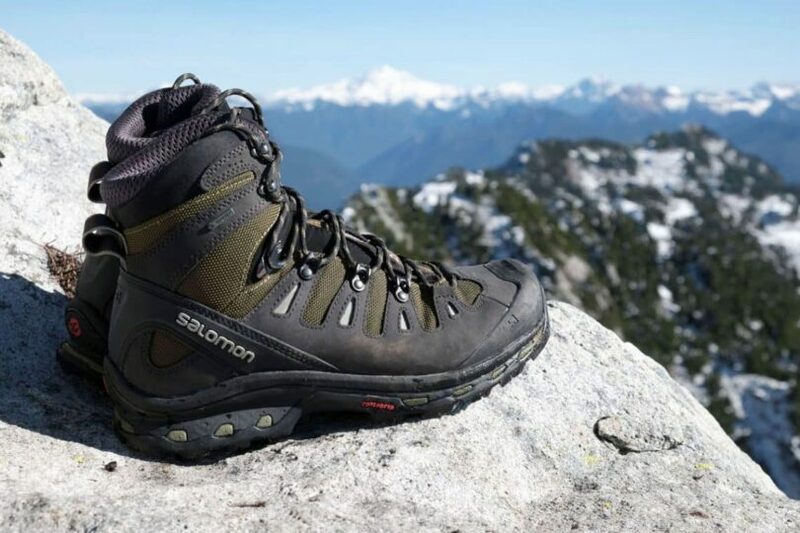 Though day hiking boots are built for more rugged conditions than hiking shoes, they are still not the optimal choice for heavy-duty backpacking. These will usually be found wanting in the durability and protection requirements of backpacking with heavy weights over longer distances. 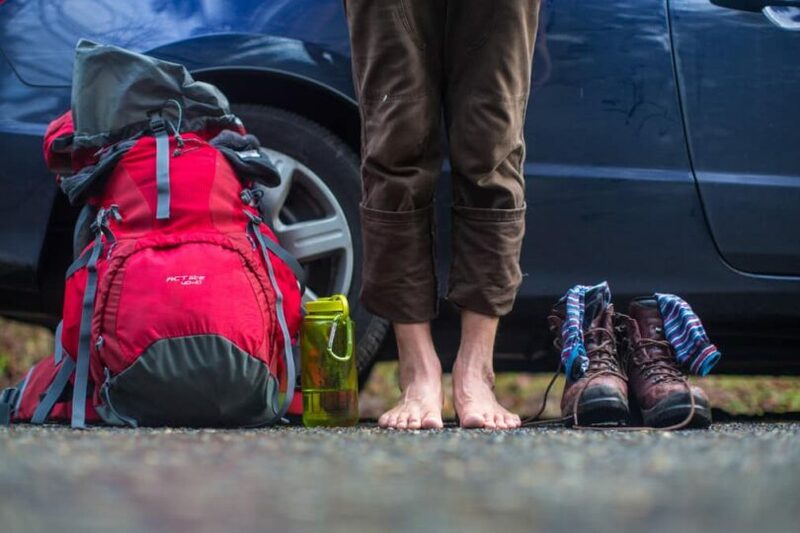 Backpacking Boots –These are the beasts of hiking footwear. They are built to carry and withstand the pressure of heavy loads on trips lasting several days over extremely rugged terrain. 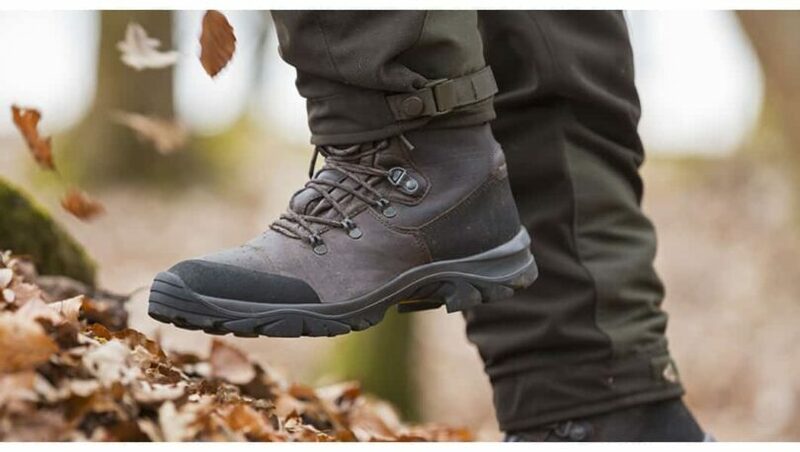 If your long-term goal is to be able to go deep into back country or on higher terrain with loose rocks or shale then these should probably be the choice footwear for you.If you do decide to go with these heavy-duty boots, then you’ll have to buy them way ahead. These boots will take long hours to properly break in. They are also the least comfortable if you don’t break them in since these are the most rigid. The materials that constitute your boots will have a direct impact on how they will perform and how you will feel as you wear them as well as how long they last. Water-resistance, durability, weight, and breathability all factor in when you’re thinking about the make of your boots. 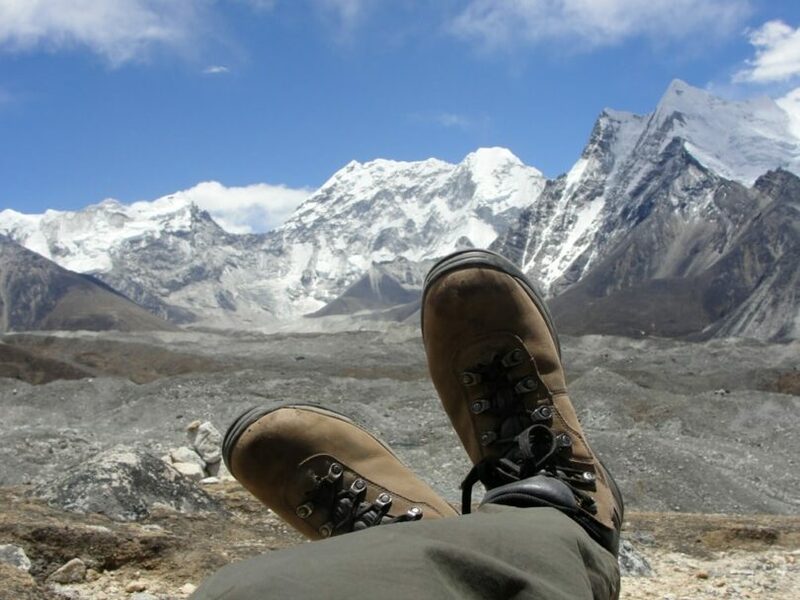 Leather types – There are different types of leather used on hiking boots, each has their pros and cons. 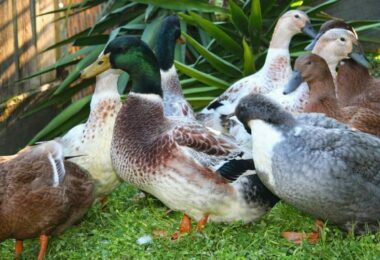 Here are a few of them. Full-grain – This type of leather provides a boot with top-notch durability as well as resistance to abrasion and water intrusion. Backpacking boots that are built for the heaviest loads and toughest terrain will be primarily constructed with this type of leather. 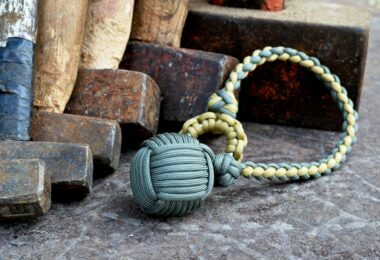 For what it gains in durability and ruggedness it loses out in breathability and weight. It is definitely heavier and less breathable than split-grain boots. You will need quite a lot of time to break these boots in. Split-grain –These boots utilize a combination of leather and a mesh made of nylon in order to lessen boot weight. This also improves a boot’s breathability helping feet sweat less throughout a day’s worth of activity. In order to achieve these qualities, makers of the material split the soft inner portion of the hide from the smooth exterior. With this, you have a lower-cost material. But it’s also more prone to abrasion and water intrusion. Nubuck leather –This is a type of full-grain leather that draws on the power of synthetic materials such as polyester, nylon, and synthetic leathers to provide a toned down experience to traditional full-grain leather boots. These types of boots are buffed to such a point that they begin to resemble suede. In terms of durability, it does very well. It is highly water-resistant and can withstand a good amount of abrasion. In terms of flexibility, it beats out traditional full-grain but will generally be less flexible than split-grain. Like full-grain boots, these will take a lot of time to break in. Also, due to construction wear will probably start to show sooner than boots of other makes. Additional Note-You will want to remember that a snug pair of boots is ideal. No, you don’t want tight bootstrapping your feet either. But most hiking boots are supposed to be a little tight out of the box because these will loosen up. If you go with a pair that is loose from the get go then you run the risk of shoes that are too big when you’re out on the trail. This increases the possibility of blisters so you’ll want to avoid it. 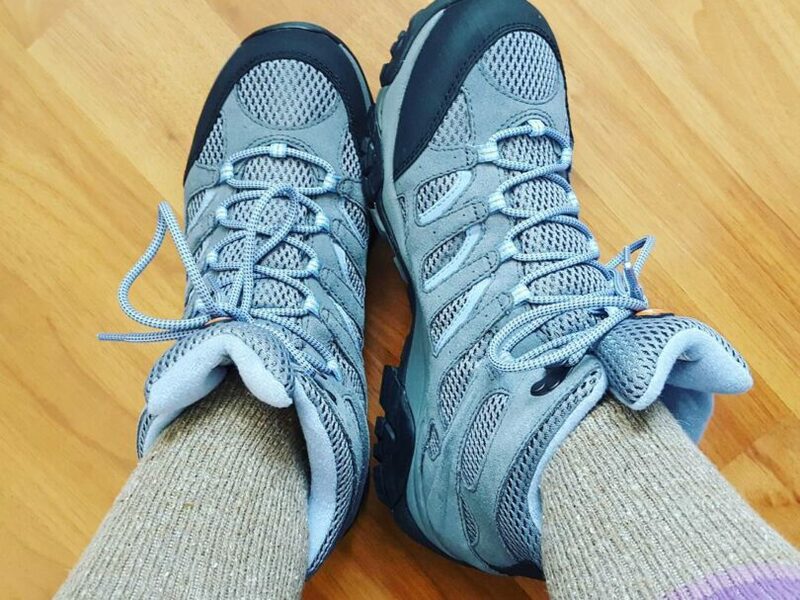 Breaking in hiking boots isn’t an exceedingly difficult task. However, it’s a time consuming one. The amount of time and work it will take to properly break in a pair of boots will vary depending on the type and make of the boots that you just purchased. Generally, however, there is a process you can follow, the length of time for each portion may vary. With this portion, the assumption will be the boots being broken in are full-grain or nu-buck. At the onset, you will need to start using those boots indoors. Don’t even think about using them for a day hike just yet. That would just be asking for trouble. Prepare the boots, insoles, and socks that you intend to use when you eventually use the boots for a heavy hike and wear them for an hour or two at home. This is simply to get your feet to start adjusting to the boot and for the boot to slowly adapt the how your foot flexes. Ideally, you can slowly do your household chores while in the boots, cooking and perhaps cleaning around the house. This allows you to slowly break in the different portions of the boot, including hotspots that might not be hit, had you just decided to break the boots in by simply walking around. When it becomes uncomfortable, take off your boots. As you go along, slowly increase the duration you wear the boots. Once you reach the point where your boots are. As you go about this stage, it’s normal for the boots to feel a bit stiff. That’s the nature of the boot and not a cause for concern. However, there shouldn’t be any pinching, chafing or pain at this stage. Otherwise, you might want to consider handing them in for a different pair. Its build is probably not right for your feet. Remember at this stage, you have to make sure that everything is set. The setup of your boot, from the socks and insole to the straightening out of the tongue and gussets. Once the boot sets in, you probably won’t have another chance at breaking it in again. Once your feet have grown accustomed to the fit and feel of your boots after several days of light walking and working in your house, it’s time to take those boots outside. And no, that doesn’t mean to take them on hikes. First, you’re going to walk them out to nearby places to your residence. The nearby store or park should be good places to start off with. You can take your dog out for a walk while you’re in your boots or go on errands that can be accomplished within the neighborhood. Always remember to keep your boots the way you’d want them to be when you’re out on a hike. Keep those gussets and tongues straight and wear the right socks. When they become comfortable on these short walks, your next step is to take them on short day hikes. Start off with a light day-pack and take on a trail hike that’s only a few miles. 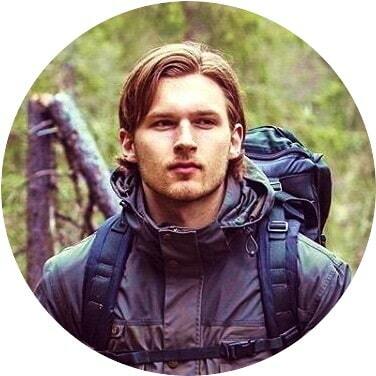 From there, work yourself up in terms of pack weight and trail length. Be sure to increase the difficulty gradually as you don’t want to have to go through half your hike with your feet in pain. 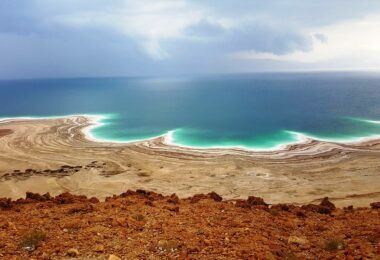 Once you manage these shorter hikes with ease, (which should probably be after your 2nd or 3rd-day hike). You can probably take on a couple of full-day hikes, slowly reaching the point where your pack begins to simulate your intended carry weight for your actual hike. Your shoes at this point should be fully broken in. At this point, your shoes should more or less be fit for its intended use. If you did your part in breaking in those boots then your feet and your boots should be able to make it through your planned hike without much issue. What you wear underneath those boots will weigh in a lot as well. If you want to significantly minimize the possibility of slipping feet and blisters, you will have to wear the right socks and insoles. Be sure to wear socks and insoles that have excellent moisture wicking capability. Merino wool based socks are a great option for this. Do read our piece on the top list of warmest socks you can use to prevent blisters and keep your feet toasty. Aside from the boots and socks, you will want to lace up your boot properly. There are many ways to lace up a pair of boots but it’s best to find the way that best suits the combination of your feet and the boots. 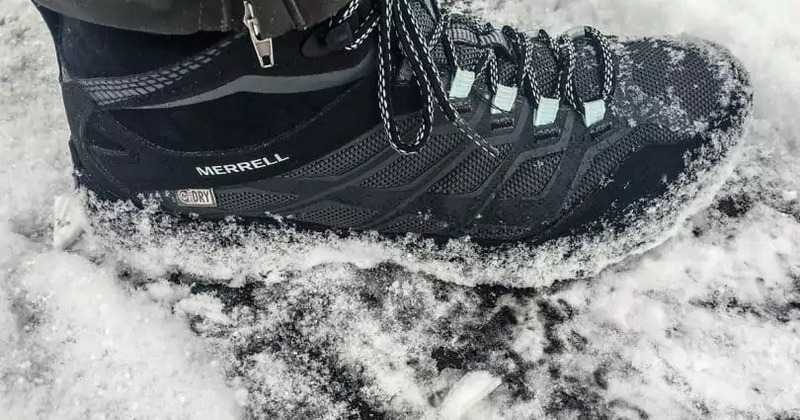 Those are only some of the things you need to know about the breaking in of hiking boots as well as a couple of tips on keeping yourself comfortable. Keep these tips in mind and you’ll have one less thing to worry about while out on a tough hike. 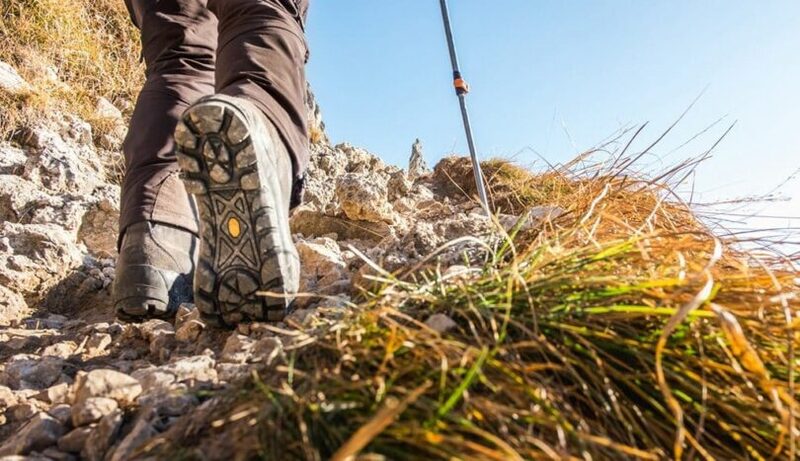 Before you hit the trail, check out our reviews of the best boots for backpacking for you to see.